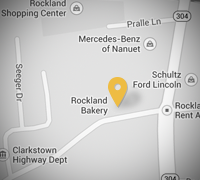 Rockland Bakery is the PREMIUM BAKERY of the Northeast. We are located in Nanuet, New York just outside of New York City. Rockland Bakery is known for providing the highest quality freshly baked products at affordable prices with always exceptional service. Since opening our doors for business, over 40 years ago, we have stayed true to our mantra of "Always Fresh". Rockland Bakery is one of the largest bakeries in the the Northeast. We have over 100 trucks on the road and four distribution centers. We deliver as far north as the Massachusetts border and as far south as Delaware including metro New York, Connecticut, Philadelphia, Albany, Harrisburg and the Lehigh Valley. 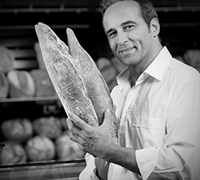 Rockland’s wholesale business strives to exceed expectations by delivering FRESH products 365 days a year. We deliver daily to New York, New Jersey, Pennsylvania, Connecticut, Delaware & Lower Massachusetts. Please call us today (845) 623 5800 We'd be delighted to give you a personal tour of our facility, and for wholesale buyers, access to the our user-friendly Web Ordering System.